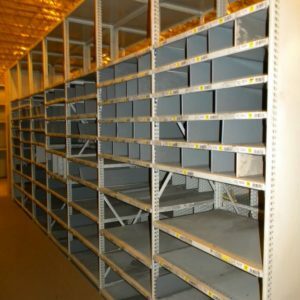 We offer the widest range of industrial, warehouse and commercial steel shelving units made in in the U.S. in both “USED” and “NEW”. 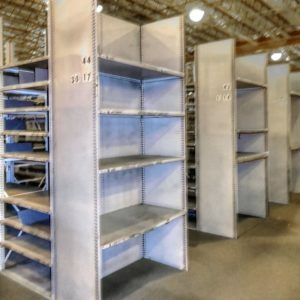 We have heavy duty and light duty storage systems that are manufactured from cold rolled steel for high strength and durability. 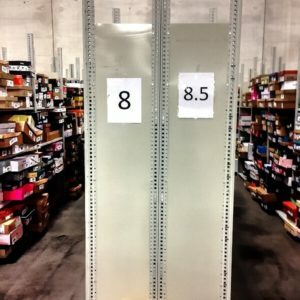 What Type of Shelving Do We Typically Carry? 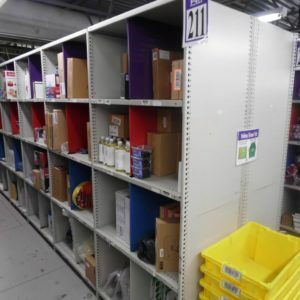 These shelving units are available in a variety of colors. 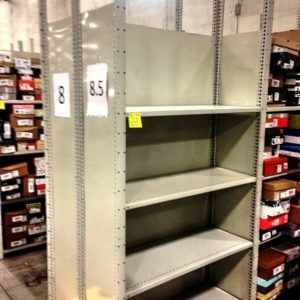 Box type adjustable steel shelves are available. All 4 corners are lapped and welded for additional strength and rigidity. 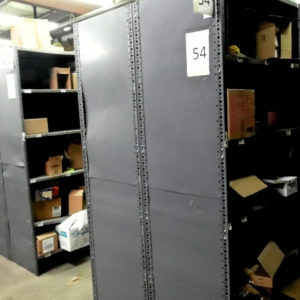 Heavy duty warehouse shelving is often used in an order picking application. 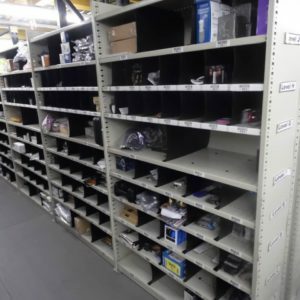 We carry quality used industrial and warehouse shelving and store all our product indoors. 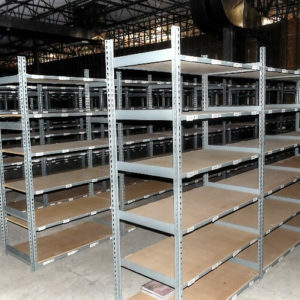 Currently in inventory you will find light duty, medium duty and heavy duty racks.